St Anne’s church is said to be built in the year 1321 by Carmelite Monks. Even though it received the status of a church much later, it was originally supposed to be a monastery. In the year 1521, Martin Luther is said to have stayed in this church with the friars on his visit to Augsburg. This beautiful Evangelical church has a lot to offer in terms of history and architecture. While in Germany, whenever you are looking for a place to take a break from your vacation and worship the lord, then this is definitely the place for you to visit. 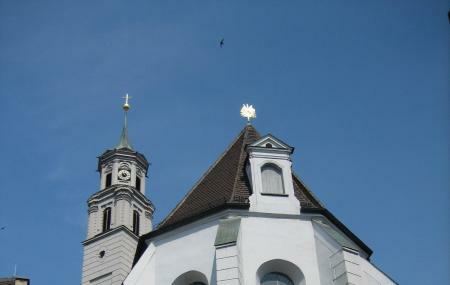 Use Augsburg trip planner to visit St. Anne's Church and many others to your visit. Add comfortable hotels to your plan, choose from the recommended hotels in Augsburg like Arthotel Ana Style, Best Western Hotel Dasing-augsburg, Arthotel Ana Gold and Schlosserwirt. Chalk out the best way to discover the city with Augsburg vacation packages. Check out various modes for how to reach Augsburg. A nice historic church with lots of history and a small, free museum.